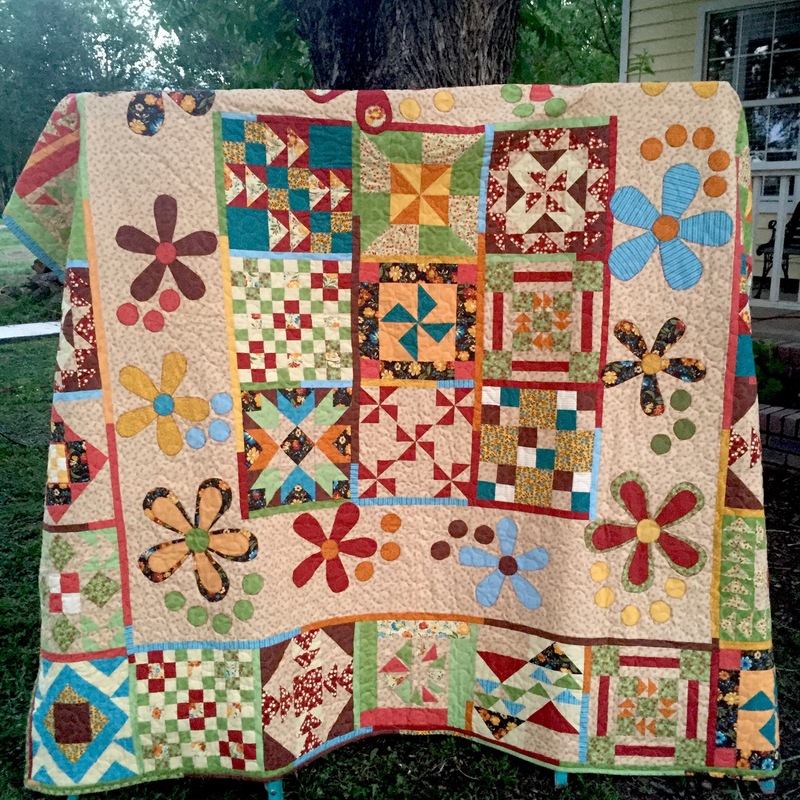 The Hippie Quilt – It's a T-Sweets day! Published on August 8, 2016 August 8, 2016 by Tracy @ It's a T-Sweets Day! Happy Monday! 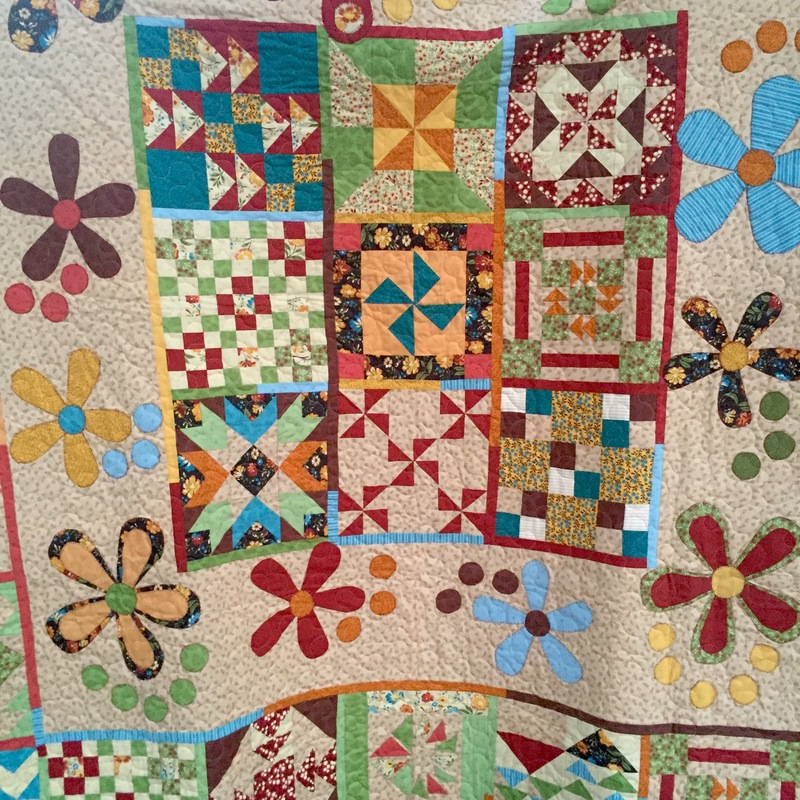 For last week’s Memorable Monday post I wrote about my #2 son’s wedding quilt. So for this week I thought I would post my #1 sons quilt. I made this from an online quilt along a few years back. I think it was on Quilting Dad, but I really don’t remember. I , of course, made two of each block so that I would have a spread instead of a throw. Typical me, right? I designed the lay out using the flower pattern that was given with the QAL. I used the blocks in the center and for the border. I used scraps to sash the blocks. Don’t they look great? It turned out so fun and GROOVY! I was happy when my SWEET daughter-in-law chose this one for their quilt. It is so them! I hope you have a Memorable Monday. Thanks for dropping by! This is awesome! Playful and totally groovy, I love it.